THERE ARE NO GOLDEN TICKETS…..GOD HAS OTHER PLANS. THE DOG HAS EATEN ALL THE TICKETS. WHO LET THE DOGS OUT? We may possibly be acquiring a “Second Sun” within our Solar System. According to Christ Michael this would be through an “ignition” of the Planet Jupiter into a brighter Nova of Light. This new energetic source of Light-energy would cause a magnetic Pole Reversal on Earth, during which time Earth will come to A BRIEF STOP and reverse its direction of rotation. The Sun will then be RISING IN THE WEST! This process would cause some fairly major 3D surface changes as well as a possible five degree alteration of the Earth’s Polar Axis, setting in motion some major EARTHQUAKES, extremely heavy winds, tidal waves, and FLOODS. I liked a @YouTube video http://t.co/jHVmFWdfFJ EARTHQUAKE/VOLCANO WATCH. VERY HIGH ELECTRON AND PROTON CONTENT BOMBARDING EARTH. THE VOLCANOES WILL ALSO FEEL THIS SURGE.EARTH’S CRUST The CHANGES TO THE EARTH have begun; this is going to be slow in the beginning then a sudden turn. This is all that we can inform you right now, do not be alarmed. The seabed is rising. The globe’s climate is fluctuating. The continents are shifting and rumbling. A NEW EARTH IS READYING TO BE BORN. More former Earth Change Prophesies: Although most of these were made well over twenty years ago and at that time represented only a future potential, we continue to include them as some may yet become a future reality. “We are now on the border of this Great Initiation, we are heading closer and closer to its centre and fulfilment. That is why CHRIST RETURNS to the Earth: because always the great Master of a Solar System incarnates and gives aid to the planet which is lowest in progression in that system. The incarnation of the Master Sananda as Jesus of Palestine marked a two-thousand year lead up to the Biblical ‘Final Day of Judgment’ and the ‘Second Coming of The Christ’. Jesus-Sananda presently holds Office for the Earth planes as World Teacher. Here is part of his ‘Second Coming Announcement’ , channeled by Nada-Yolanda on August 17th 1966. Nada during her life channeled the Spiritual Hierarchy as the Founder of the Mark-Age Center, now situated at Elk Valley, Northeastern Tennessee. Furthermore, we would like you to understand that many of the DARKER INFLUENCES of your Earth plane took place when you experienced pole shifts. For at least the past 200 000 years, your Solar System has regularly experienced pole shifts every 11 000 years for a period of 2 000 years. This has happened during the Ages of Leo and Aquarius. Now, entering these Photon Rays of Light, which is experienced constantly by the Pleiadian Emissaries of Light through ALCYONE, and the Andromedan Intergalactic Beings of the Light, through Andromeda, is one of the most beautiful and enlightening experiences. The problem in the past has been that just prior to entering the Photon Band, you entered into the null zone for a three day transitional period, experienced a pole shift, and lost all memory of your multidimensionality as Melchizedek Ambassadors of Light. This occurred when Gondwanaland sank, when Lemuria sank, and later ATLANTIS. The null zone itself is a barrier of magnetic fields that are compressed and woven together around the Photon Band. When your Sun entered into this null zone, the temperature on your Planet reached zero degrees kelvin with a corresponding decrease in pressure, which meant that the electromagnetic grid of Mother Earth was temporarily deactivated. Much chaos, including memory loss occurred, as the ELECTROMAGNETIC GRID of Mother Earth is required by every atom and molecule on this Earth plane for cellular functioning. Furthermore, you experienced what looked like a major Solar Eclipse for 72 HOURS. Cosmic Convergence 2012 is a primer for the meteoric changes that are right around the corner of the temporal junction point known as 2012. As we move through the final phase of the Galactic Creation Cycle of the Mayan Calendar, we can expect the most profound and fundamental earth changes of the era. Conversely, we can anticipate equally consequential societal changes which will translate to unparalleled political, economic and social revolution across the globe. Truly, tectonic movements will shake the foundations in every sphere of life. "@gede_prama: Soul can only grow when u flow http://t.co/u7J6XVYxVN pic.twitter.com/o9x1VbPOyq"
What does it mean to go within? This question is on the mind of most people who are awakening to the multidimensionality of this reality. Many people have different experiences but there is one similar thread that all people need to know about. The term “going within” is the method by which we discover who we truly are. If you think about what your mind does while doing one of these tasks, you will realize what it means to go within. It feels like you are removing the focus from the outside world and going off on a little trip inside, right before you catch yourself and bring yourself back into the moment of the task at hand. The next thing to add is INTENTION. . As you sit with yourself, intend to turn off your five senses and withdraw from the world that you are used to existing in. Focus on who you are as consciousness and feel what it is like to be that. Acknowledge this consciousness and intend to bring more of this consciousness into your body. Having this sense of self awareness strengthens the connection to your higher self by placing your attention there. As you continue to do this, the connection continues to strengthen. As you practice this, you may or may not see things. Some people receive letters, numbers, or symbols in the mind’s eye. Some people feel a tingling sense of warmth and love. Some people may receive thoughts or movies. However some people may simply receive what they perceive is nothing but is actually the peace and serenity of their true selves.As you practice this, you may or may not see things. Some people receive letters, numbers, or symbols in the mind’s eye. Some people feel a tingling sense of warmth and love. Some people may receive thoughts or movies. However some people may simply receive what they perceive is nothing but is actually the peace and serenity of their true selves. WHAT WILL GOING WITHIN DO FOR ME? When you go within, you begin to crack the door open to higher consciousness. Contemplating who we are will re-establish the connection that has been lessened by the last round of genetic manipulation of humanity. Spending the time with yourself to grow this connection opens the door more and more to our multidimensional selves. When you begin to realize your multidimensional existence, you gain the ability to forgive others and to see things from a higher perspective of love and understanding. You may naturally separate from conflict and from people you do no longer resonate with. You build a sense of truth and knowing Once you have practiced going within it becomes something that you embody. You are always connected to your multidimensional self and you are able to access this part of you without having to try. This will be the one thread that is the same for everyone at this time. Your life will flow and synchronicity and precognition will appear to show you the way. This is truly the biggest benefit of going within and is the one thing that must be experienced on an individual basis to fully understand. Take the time to yourself to reflect on who and what you are and the magic will begin!within your infinite nature and begin to understand the polarity and duality that exists within you. You realize that you are connected to everything and everyone AND THE JOURNEY FOR BALANCE BEGINS. Once you have practiced going within it becomes something that you embody. You are always connected to your multidimensional self and you are able to access this part of you without having to try. This will be the one thread that is the same for everyone at this time. Your life will flow and synchronicity and precognition will appear to show you the way. This is truly the biggest benefit of going within and is the one thing that must be experienced on an individual basis to fully understand. Take the time to yourself to reflect on who and what you are and the magic will begin! One of the most exciting aspects about being on Earth right now is that there is a reordering or a retooling taking place in your DNA. Cosmic rays are coming onto the planet so that a change is being broadcast and a reordering is taking pla…ce inside the body. The scattered data that holds the history and awareness of the Living Library is now lining up. The DNA IS EVOLVING. New helixes or strands are being formed as the light-encoded filaments are beginning to bundle themselves together. 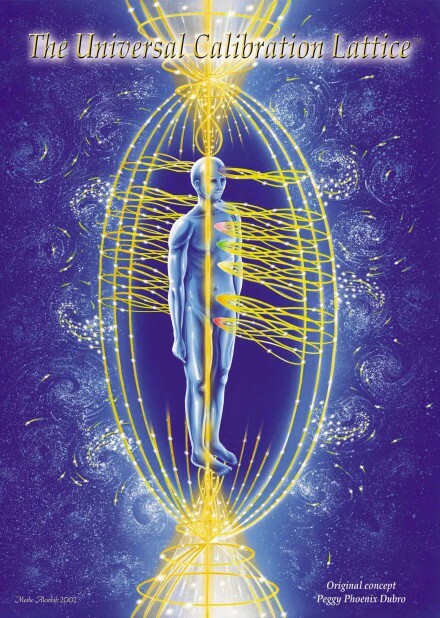 The scattered data is being pulled together in your body by electromagnetic energies from Prime Creator. We are here to watch this process in you, to assist you, and to evolve ourselves as well. The new pathways of consciousness create new realities, new options, and new ways of living and being. That is why the COLLAPSE OF YOUR SOCIETY is inevitable: It does not hold Light, it does not hold the multidimensional possibilities, it holds you in limitation, and you are tired of that..
A study demonstrates that Earth’s last magnetic reversal – 786,000 years ago – happened in roughly the span of a human lifetime. Documentary, Revelations of the Pyramids, dive deep into the ancient mysteries of the pyramids and their connections to other mega monuments of the world. Seventeen minutes into the video, they talk about the great EGYPTIAN pyramid and its link to the EQUINOX! This was exciting new information to us. Then 48 minutes into the film, they make a connection between the monuments in PERU, the MAYA WORLD, EASTER ISLAND, and the PYRAMIDS OF CHINA, and the center is EGYPT! At about the one hour mark, they get into complex SACRED GEOMETRY. They also go on elude to ANCIENT MYSTERY SCHOOLS and how ancient mysteries were anchored on Earth and were able to withstand mass amounts of time and through loss of history. This reminds me how important it is to totally awaken these ancient mysteries within us. AND THEY ARE WITHIN US RIGHT NOW! The film goes on to just blow my mind as it dives deep and even discusses the 26,000 year cycle that the Maya knew about as well. P.S. Don’t buy into their conclusions. The Star Elders are very clear about the fact that the global cataclysms of the past will not happen this time around due to our awakening consciousness! Thus yet another reason to be diligent to awakening to the mysteries. Please watch it! It is very well done. Once changed, people will manifest a variety of natural, multi-sensory abilities as never before experienced in Earth’s history. These new abilities include: telepathy, telekinesis, teleportation, and levitation. For all of transformed humanity – human consciousness, human life, WILL MAKE A QUANTUM LEAP IN EVOLUTION✪. This message was so strong in my mind that it woke me up and demanded that I write it down, so I did. Which is the frequency of our consciousness. Apollo Solaris maart 12, 2015 (Edit) In een reactie van 29 april die u HIER kunt vinden schrijf ik het volgende DIT IS DE STRIJD OM DE MENSELIJKE ZIEL. Niets meer en niets minder. Verdere uitleg staat in de blog in de Tweet hieronder en HIER staat het nodige en dan met name het belang van het bestrijden van dit “valse licht”. We are all spiritual beings having a human experience, so once you realize that YOU NEVER TRULY DIE, there’s nothing left to fear. Copyright 2014 by Lawrence & Michael Sartorius with the exception of credited quotations. ✎ The harmonics of the DNA spiral itself are altering. That’s the real, hidden cause of spontaneous mass evolutions in previous epochs of time. Romeo Baron – The physical Pole Shift is a negative alien agenda. When one has a limited understanding, one will accept the negative agenda of being the solution for Humanity. I strongly advise to reject the idea of a physical pole shift as much as possible, because a pole shift is EXACTLY WHAT THE NAA DESIRE! The “Elites”-NAA (Fallen Reptilian Illuminati, Fallen Thoth-Enki-Zephelium-(Zeta) Fallen Annunaki) want you to believe in a pole shift so that you feed their plan to harvest souls, decimate and restart all civilization on Earth. These “puppet masters”, as I will call them, are addicted to exploiting humanity and Earth as a resource. In the past whenever the puppet masters who enslaved humanity found that humanity was becoming too free through technological and cultural development, the puppet masters decided to restart civilization through creating an accelerated artificial pole shift through weather modification technology. By doing so, cataclysms on earth decimated humanity so that all technology and cultural development were destroyed.